Homecoming is one of the piano solo pieces from my Dayspring CD. How comforting the light of the gospel is in the face of something as shocking as death! Testimony, born of faith, adds a spiritual element to the otherwise abstract complexities of life. That testimony is a real and powerful confidence that becomes indisputable in the heart of those that embrace it, and it is a real and life-sustaining thing. This mortal life is but a moment. After death we continue life as we had previously known it, before it was crudely interrupted by this frightening but essential phase of existence. To those with such faith, death is not a thing to be feared at all. In fact, death is more of a reunion than a separation. The partings that come with death are only very temporary, and when all is said and done, this mortal life will seem to have been but a passing moment. I have a photograph that I like to get out and look at once in a while. 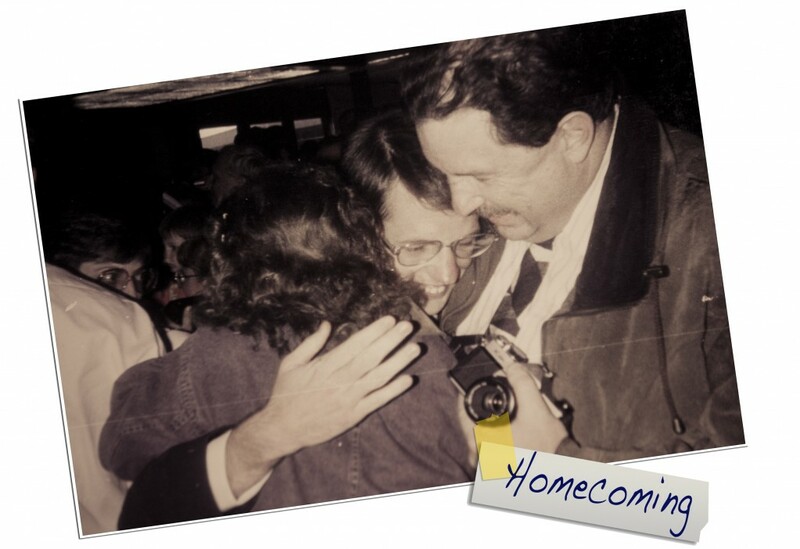 It is of my older brother’s missionary homecoming. He is only seconds off the airplane from his mission to Brazil, in a tight embrace with Mom and Dad. Their faces are full of excitement, joy, and love. That picture has a lot of meaning for me. I took it on my own full-time mission, and it reminded me that I must serve my mission honorably, so that when I return, I will have such a moment. It also reminds me of another homecoming that I will someday experience. The thought of leaving this life and rushing into the arms of my Heavenly Parents sometimes fills me with so much hope, and so much anticipation, that I have to remind myself that I still have much to do before I can qualify for such a reunion. Perhaps it is the fear of the unknown that frightens us about death. We thrive so much on regularity and tradition that even a minor change from the ordinary can throw us completely off balance. Adventurous as we may occasionally feel, it seems that few of us feel ready to step beyond the comfort-zone of mortality into the surreal and unknown mystery we call death. Even the most courageous people can’t deny that there is a bit of apprehension that accompanies impending death. Perhaps to some, it is like lying down to sleep, knowing that whatever dream first enters their mind will be their new permanent reality. Purchase Dayspring CD, by Chas Hathaway, buy Homecoming MP3 on iTunes, or see other writings about the meaning behind Chas Hathaway’s music.